HRC Dayton LogoLogo for HRC Dayton. The logo features a gradient fill effect on hover. Is baldness genetic? It has been determined that heredity, or genetics, is just one of the many causes of hair loss in women. Some of the other causes may include medications, stress, aging, ailments, medical conditions or an unhealthy lifestyle. Gary is one of many clients who have been with Bob Rider and HRC for many years. No one in the greater Dayton area has more hair loss/hair replacement experience and long-term clients. Our Client Trudy Has Been with Us For 20 Years! PRP, or Platelet Rich Plasma, is a new hair replacement procedure that has been taking the world by storm. The reason why this process stands above all other hair restoration solutions is due to a combination of things: 1) it’s natural, 2) it doesn’t require any post-treatment medication, and 3) it is quick and relatively simple. PRP is, as you might have guessed, based off of the blood’s platelets—yours, in particular. Hair loss is inevitable, all men should expect balding to some degree once they reach the age of 40. The panic is normal, but some misconceptions exasperate things by making men paranoid about things that are just not true. These are mostly old wives’ tales that have been passed down without any serious scrutiny or scientific basis. It’s not a rare occurrence for a patient to come to our clinic who has never had a hair loss problem, and there is no history of hair loss in their family. But, suddenly, the patient finds hair falling out at a steady rate. During our thorough history-taking, we learn that the patient is being treated for an illness with a specific medication. It is often within a few weeks of starting the new meds that the patient notices the hair fall-out. This is the twenty-first century. You cannot imagine a time when there were no mobile phones, 60” TVs, or electric cars. And yet, there are still men today who accept their male pattern baldness as a genetic cross to bear, and don’t avail themselves of all we have to offer here at HRC Dayton. For those of you who think that HRC Dayton has embarked on a totally new phenomenon – you are wrong. Four thousand years ago, ancient Egyptians were searching for a hair loss cure. In 1500 B.C., Egyptians recited a magic spell to the sun god before swallowing a cocktail of onions, iron, red lead, honey and alabaster. Needless to say, it didn’t work. Then, in 1100 B.C., balding men rubbed the fat from lions, hippopotamuses, crocodiles, ibex, tomcat, serpents, porcupine hair and geese onto their scalps. Teenage Hair Loss is surprisingly common. 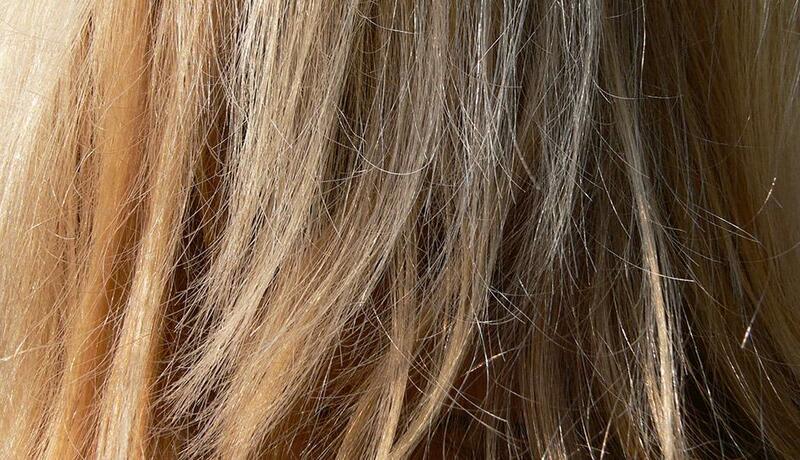 Hair loss is only associated with old age or stress – right? Wrong! It is surprising, but true, that hair loss is a common problem among teenage girls, too. Is there anybody more self-conscious of their appearance than a teenage girl? Just imagine what hair loss can do to her self-esteem. Sometimes, the hair loss is an alarm for some deeper medical issue. At this time of year, we are often asked if chlorine can cause hair loss. The answer is absolutely, no. In a study reported in the Journal of Dermatology, researchers compared the hair of 67 professional swimmers and 54 individuals who had spent little to no time in the pool. Although swimmers’ hair exhibited some signs of having chlorine-induced damage like dryness and coarseness, swimmers were not significantly more likely to experience hair loss. But, high exposure to chlorine can cause the scalp to become dry and flaky. Discover hair replacement solutions to meet your needs; it starts with a FREE consultation. 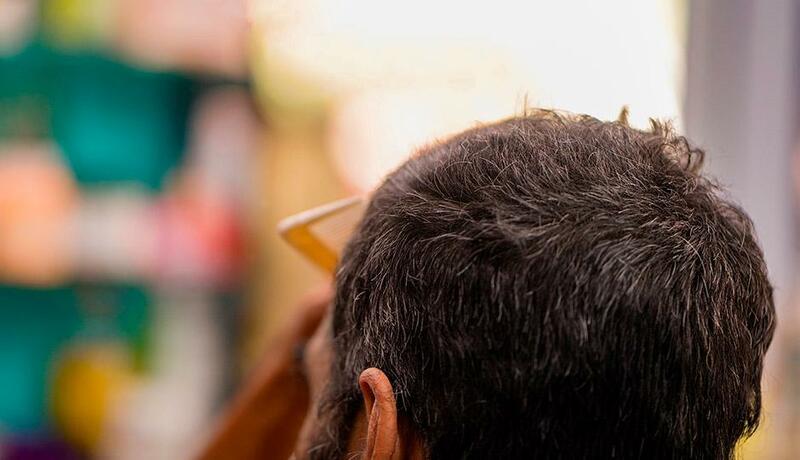 When it comes to hair loss solutions, the one-size-fits-all approach just doesn’t work. We tailor our methods to meet each client, and we invite you to join us in our studio space today for a FREE, one-on-one consultation with one of our stylists. Contact us today to schedule this visit and to learn more about the available solutions. Get $250 off Cesare Ragazzi Treatments! Get $150 off Scalp Therapy! Get $200 Off Surgical Transplants! I recently went to HRC for the second time for hair replacement. I again did a lot of research, like I did ten years ago the first time I did it and looked in to clinics in Columbus and Cincinnati. I wanted to be sure I was getting quality service and product since I was in a smaller (Dayton) market. But for the second time I was impressed by the professionalism of the HRC's staff and physician, Dr. Nick Agnesi's staff. They were not pushy and talked me through what they recommended and what I was comfortable with selecting. Getting surgery for hair replacement was a big decision and I would say with complete conviction that it was the right choice and that HRC and Dr. Agnesi were the right ones to choose for the procedure. Copyright ©2019 HRC Dayton. All rights reserved.